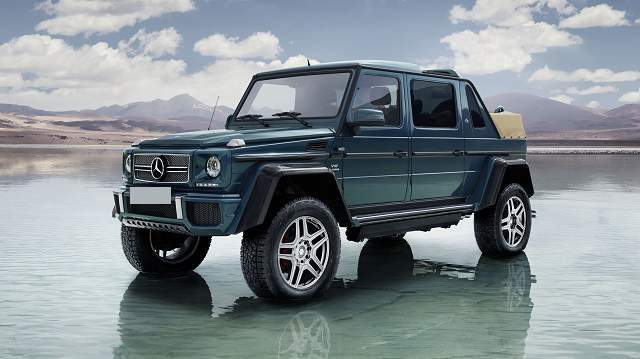 The name Mercedes Benz does not exactly conjure up images of a pickup truck, ain’t it! The iconic German luxury car maker is known globally for its lavish sedans and crossover SUV models, as it is. However, the reality is the automobile giant is making foray into luxury pickup segment, a sector that does not have too many contenders yet. The industry went abuzz with speculations when the company introduced its path breaking 2018 Mercedes Benz X-Class – rear luxury pickup earlier. 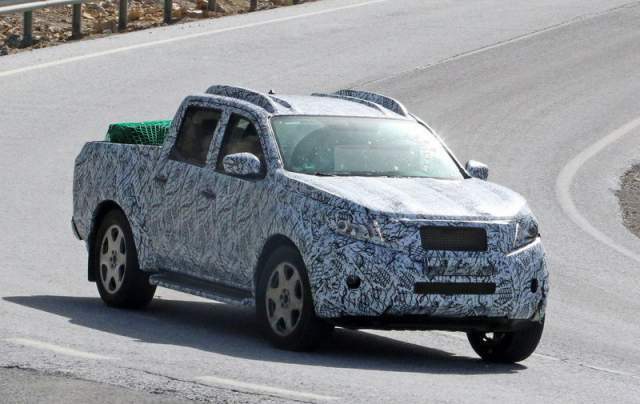 The production version of the luxury midsized pickup is now being readied for sale, as per the newest reports. It is not too hard to identify the lineage when you look at the 2018 Mercedes Benz X-Class pickup. The grille has the familiar Mercedes logo at front. It will be made in crew cab setup. The model will be made in three trims- Pure, Progressive and Power. The first is aimed at real truck people with focus on utility more than anything else. Progressive gets more lavish elements inside the cabin with amenities galore. The top end Power is meant for who look at the pickup trucks as lifestyle vehicles rather than work truck. However, it is based on a Nissan Navara and Daimler will get support from the Renault-Nissan Alliance. It is a little bigger than Honda Ridgeline. The cabin of upcoming 2018 Mercedes Benz X-Class is inspired by the interior styling of the company’s sedans mostly. The dashboard layout and instrument cluster looks familiar. Touches of luxury are evident but some elements from the Navara also exist. The cabin will remain quiet thanks to usage of noise insulating materials. The 2018 Mercedes Benz X-Class has some beefy engines under the hood. The base X200 trim gets an engine making 165 hp. But the X220d and X250d are powered by two diesel engines making 163 hp and 190 hp. However, you can also opt for a beefier diesel V6 that makes 258 hp. You may opt for 4MATIC AWD setup and seven-speed automatic transmission gearbox. The X Class can tow up to 7,716 pounds and hauling capacity is 2,425 pounds. Selected markets will get gasoline powered engines as well. The Mercedes Benz X-Class 2019 is laden with modern amenities and safety features, as expected. It has several passive and active safety systems, including traffic sign recognition, lane-keep assist and autonomous emergency braking. The truck also features a useful navigation system. It will also get trailer sway control, a set of airbags, Active Brake Assist. Power trim will get a 360 degree camera system. The luxury pickup truck gets equipped with new version of Benz’s infotainment system and there is a tablet-style display with 7 inch screen. Optional is a larger 8.4-inch display. The pure trim gets vinyl flooring, cloth trim, matte black plastics, and 17-inch steel wheels – all pointing to ruggedness. Progressive trim gets 18-inch alloys, interior carpet, body colored bumpers, fake leather seats. Power trim gets stitched upper dash, real leather interior, door trims, dual-zone climate control, 19-inch alloys, exterior chrome accents and lots of customization options. The 2018 X-Class will be released in selected markets by end of 2017 and US availability is not known. Starting price should be around $44,000. The 2018 Mercedes Benz X-Class is going to be a significant launch for the iconic German carmaker. 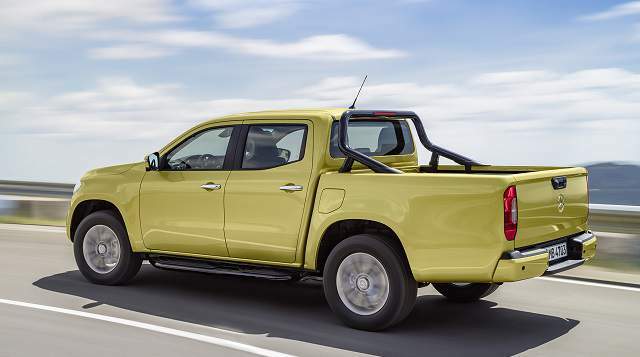 It will compete with likes of Toyota HiLux SR5 dual-cab. Despite its Nissan Navara roots, the X-Class is refined and has not enough tweaks in power train segment. The truck will cater to wide range of buyers- owing to three different trim levels.